The timing was appropriate. 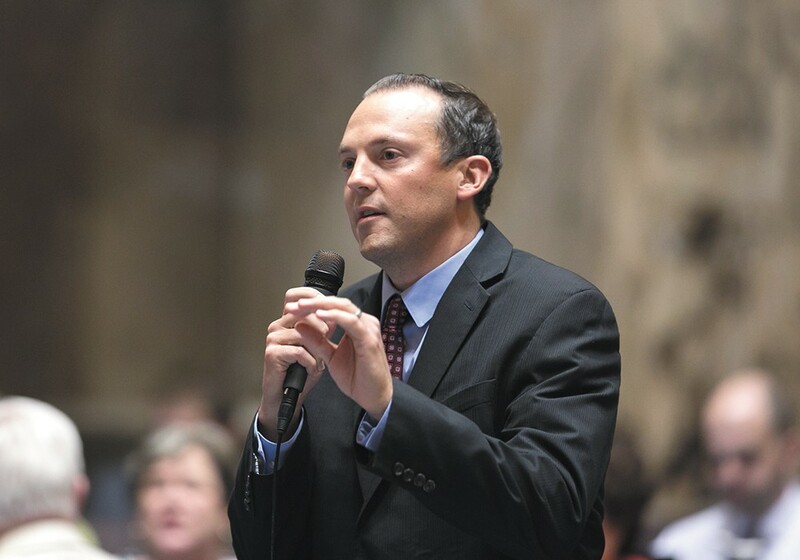 With just hours left before we all made the aggravating annual spring forward to daylight saving time, state Rep. Marcus Riccelli's bill to push Washington state toward permanent daylight saving time overwhelmingly passed the House. In total, 89 representatives — including every Spokane area representative — supported it, with only seven opposed. The bill would signal Washington state's support for remaining on daylight saving time all year, resulting in darker winter mornings but brighter winter evenings. The Senate has until Wednesday this week to pass the bill out of the Senate. Meanwhile, on a groggy Monday morning, the idea became a rare instance of the liberal Riccelli converging with the policy views of President Donald Trump. "Making Daylight Saving Time permanent is O.K. with me!" Trump tweeted. Slate podcast host Mike Pesca, another fervent supporter of permanent daylight saving time, noted that Trump may have a selfish business interest in promoting the idea: More light in the evenings would mean more business for Trump-owned golf courses. But Riccelli welcomed the presidential seal of approval, engaging in a shameless bit of temporal wordplay on Twitter. "Permanent Daylight Saving Time is picking up momentum throughout our country and is not a partisan issue... just an issue whose TIME has come," Riccelli wrote. "Additionally, a broken clock is even right twice a day." The Trump endorsement isn't just symbolic: Several states, including Florida and California, have already passed bills or initiatives endorsing switching to permanent daylight saving time. But Congress first needs to approve the change for it to officially take effect. Riccelli says that Washington state Sen. Patty Murray is considering supporting the move at the federal level, at least for the West Coast. Either way, he says, it's the perfect time to have the debate. "Everyone is sleepy and tired and their kids are waking up late for school," Riccelli says. The original print version of this article was headlined "Trump Approved"